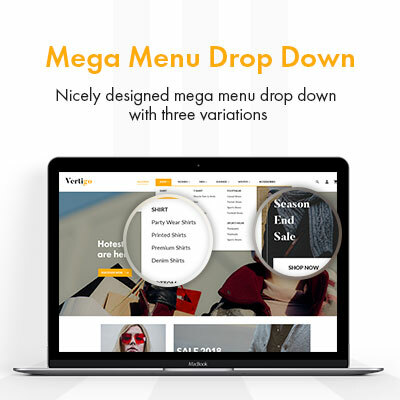 Vertigo: Fashion responsive Theme : This theme brings up an elegant and intriguing appearance to your Cs-Cart and Cs-Cart Multivendor stores. You can enhance the texture and look of your Cs-Cart store with CS-Cart Fashion Responsive theme: Vertigo. By using the complete recoloring power of this theme you can simply create your own fashion style and recolor various things on your storefront. Its responsive nature gives a pleasant look to your storefront which looks appreciable on any device. Use of Cs-Cart Vertigo: Fashion responsive Theme : You can use this theme to sell you all fashion products like dresses, attires, garb, outfits etc and provide your viewers a contrast. CS-Cart Vertigo: Fashion responsive Theme :Want to present a strong online presence on your viewers!! Then CS-Cart Fashion Responsive Theme: Vertigo will be the ideal solution for your business in the professional world. CS-Cart Vertigo: Fashion Responsive Theme: This theme brings up an elegant and intriguing appearance to your Cs-Cart and Cs-Cart Multivendor stores. You can enhance the texture and look of your Cs-Cart store with CS-Cart Vertigo: Fashion Responsive Theme. By using the complete recoloring power of this theme you can simply create your own fashion style and recolor various things on your storefront. Its responsive nature gives a pleasant look to your storefront which looks appreciable on any device. 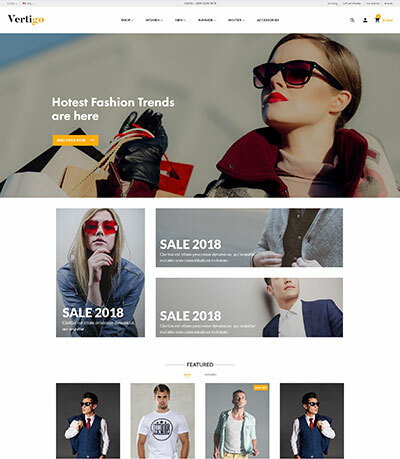 Use of Cs-Cart Vertigo: Fashion responsive Theme; You can use this theme to sell you all fashion products like dresses, attires, garb, outfits etc and provide your viewers a contrast. If you want to ask any question before buying or you unexpectedly be faced with a bug in the theme you can get fast and reliable assistance by clicking here. Well integrated with CS-Cart and Multi-Vendor. Easy to install and customize. Improvised navigation tabs to display product information on the product page. An enhanced testimonial section on the Homepages. Well designed star rating view in comments and review section. An intensify testimonial section on the homepage. Annex option to show the Products in form. Easy to use built-in socical sharing buttons. High website readability with any search engine. The designed theme makes your site load fast. Responsive web design simply means making websites that can adapt to the size of the visitor’s viewport. The goal is for content to render differently depending on the device or screen size so that visitors have an optimal experience no matter how they access a website. The primary benefit of responsive web design is that sites load quickly without any distortions, so users don’t need to manually resize anything to view content. Vertigo theme works with every type of screen resolution. The theme will adjust the store layout according to the viewing device. The theme will look amazing on any type of device. Compatible with all the browsers - Firefox, Chrome, Safari etc. Different layouts for desktop, tablet, and mobile view. A completely new design for your CS-Cart store. Practically, with no programming knowledge, you can change your store look anytime you want. In terms of statistics, you have 3 seconds to make a new user stay on your site after landed on any page of your site. The way your store looks is also a part of the things needed to make them stay. The Vertigo home page shows various banners, products, and categories. The store owner can customize the layout of the homepage using blocks and widgets from the back-end. Option to show the Grid in tabular form. have been provided. So the site visitor can easily distinguish them and access quickly. Star rating on the product grid adds charm to the view thus creating a better user experience. The colors of these buttons are nicely being integrated into the general store coloring. The customers can browse the categories using the Mega Menu. Find all the product categories using menu and sub-menus. Hover the mouse cursor and it automatically expands the menu items and shows multiple levels of categories along with the images. 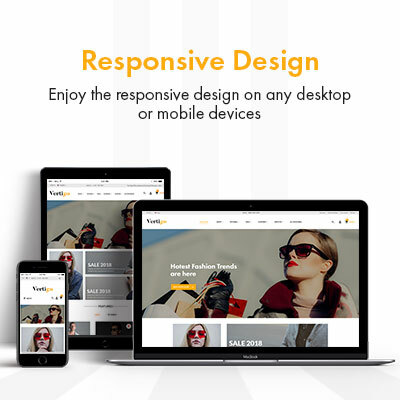 Did you buy CS-Cart Vertigo: Fashion Responsive Theme?